Yesterday was National Celiac Awareness Day. Celiac Disease is one of the most common chronic illnesses in the western world, so it is no wonder that gluten-free diets are making a huge splash in the media lately. But with so much information, where do you begin your research? Since so many people are affected by Celiac Disease, we decided to extend the day of recognition, by putting together a guide of some of our favorite resources, including restaurants, books, products and more to help de-mystify the gluten-free diet. One Lucky Duck – New York City – The take-away spot from the renowned vegan restaurant Pure Food & Wine, best known for their smoothies, juices and raw desserts. BabyCakes – New York City; Los Angeles, CA; Orlando, FL – Fresh-baked cupcakes without all the sugar, flour and butter cream, making for a gluten-free, guilt-free indulgence! The Art Café & Bakery – Atascadero, CA – Home to Oprah’s favorite sandwich, the café strives to suit all needs with a gluten-free line of breads and baked goods. Donna Marie’s – Rochester, NY – With the motto, “It’s gluten-free, not taste-free,” this bakery offers muffins, brownies and custom cakes all made without wheat flour. Sweet Freedom Bakery – Philadelphia, PA – Philly’s first and only gluten-free bakery, opened by IIN graduates Allison Lubert and Heather Esposito, providing a healthier alternative to dessert. Gracie’s - Waltham, MA – With an extensive menu made from fresh, natural ingredients, this restaurant/catering service offers many soups, salads and sandwiches for gluten-free folks. The Elephant Walk – Boston, Cambridge & Waltham, MA – A unique dining experience offering excellent French and Cambodian cuisine with vegan, vegetarian and gluten-free choices. The Silly Yak Bakery – Madison, WI – Deliciously fresh gluten-free breads and treats are made from scratch at this Madison bakery. Not in the area? No worries, all product lines can be shipped nationwide! Deby’s – Denver, CO – The wide variety of breads is the claim to fame at this gluten-free outlet, but you’ll find just about any product on the list, available in many stores and restaurants. Pip's Place - New York, NY - Known for its layer cakes, muffins and cookies, Pip's will also ship baked goods to those who can't make it to their storefront on Manhattan's Upper East Side. Gluten Free Registry – Search for a gluten-free restaurant and menus by state. This site also has a smartphone supplication to use on the go! Gluten Free Travel Site – View gluten-free menu items on national and regional chains such as Chili’s, Carrabba’s and Outback Steakhouse, and read reviews of gluten-free options. Lasagna by IIN grad Christina Chodos, shared on ABC 7 Chicago news. Check out the video below or read the full article here! 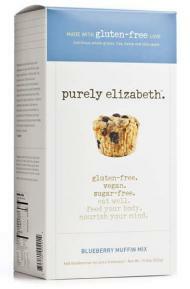 Purely Elizabeth – Launched by IIN graduate Elizabeth Stein, this line of all-natural and organic foods and baking mixes uses nutritious alternative grains and superfood seeds, free of sugar, dairy, wheat and gluten. Me Organic – A UK based lifestyle brand developed by IIN graduates Togo Keynes and Leigh Rogers, which offers organic, gluten-free goodies including cupcakes, granola and banana bread. Tootsies Gluten-Free This company has a range of cake and bread mixes, including all-purpose flour. Products can be bough in bulk or by individual package. Rudi’s Bakery – A bakery offering a variety of gluten-free breads including pizza crust, hot dog rolls and cinnamon raisin loafs. Glutino & Gluten-Free Pantry – A large range of gluten-free products, beyond the usual bread and mixes, including frozen meals, crackers and breakfast bars. Gluten Free School – Founded by IIN grad and health coach Jennifer Fugo, this online school offers support through tele-classes, webinars and other events for people living a gluten-free life. Baking & Cooking Classes - IIN student Ellen Allard, the “Gluten-Free Diva” offers classes on gluten-free cooking. To learn more about bringing her in for a class, contact her through her website. Wheat-Free, Worry-Free by Danna Korn - A practical, comprehensive and inspirational guide to living a gluten-free lifestyle, answering many common questions regarding the challenges faced on the diet. The First Year: Celiac Disease and Living Gluten-Free by Jules E. Dowler Shepard – A guide that prioritizes all the most important information on diet and lifestyle changes for people newly diagnosed with Celiac, including how to safely alter diets, manage symptoms, and adjust to living gluten-free. Gluten-Free Quick & Easy by Carol Fenster, Ph.D. - Shortcuts, tips, and timesaving techniques for cooking gluten-free, as well as comprehensive menu plans and ideas to help pull together a week's worth of meals with ease. 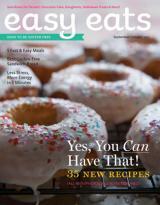 Easy Eats – A FREE digital magazine that launched September 1. With your free subscription login to view all 100 pages of gluten-free goodness! 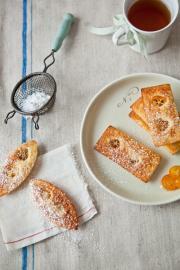 Easy Eats is focused on looking at gluten-free life through a positive lens. IIN grad Amie Valpone, works as the Marketing and Publishing Director of Easy Eats. Living Without – A bimonthly magazine with a great website, including recipes, quick guides and health resources. 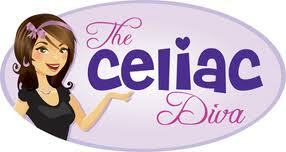 The Celiac Diva – An online TV show reviewing gluten-free food and beauty products. 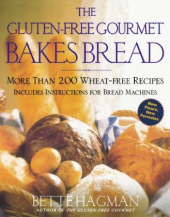 Unlocking the Mystery of Wheat and Gluten Intolerance – A DVD from a seminar at the College of DuPage, that discusses symptoms related to gluten intolerance and how to implement and follow a gluten-free diet. Gluten Sensitivity & Celiac Forum 2010 - A film from the second annual Gluten Sensitivity & Celiac Forum, in which four experts share their vast knowledge of the rapidly evolving field of celiac disease and gluten sensitivity.